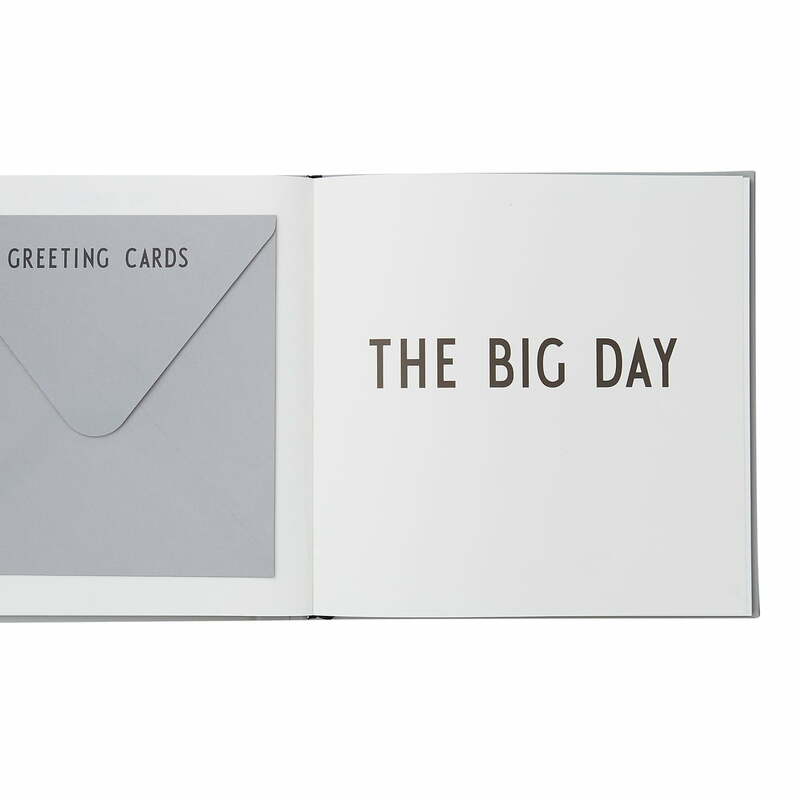 The Design Letters wedding book leaves nothing to chance for the most important day of the year. All memories of the wedding can be bundled in a book and put together. 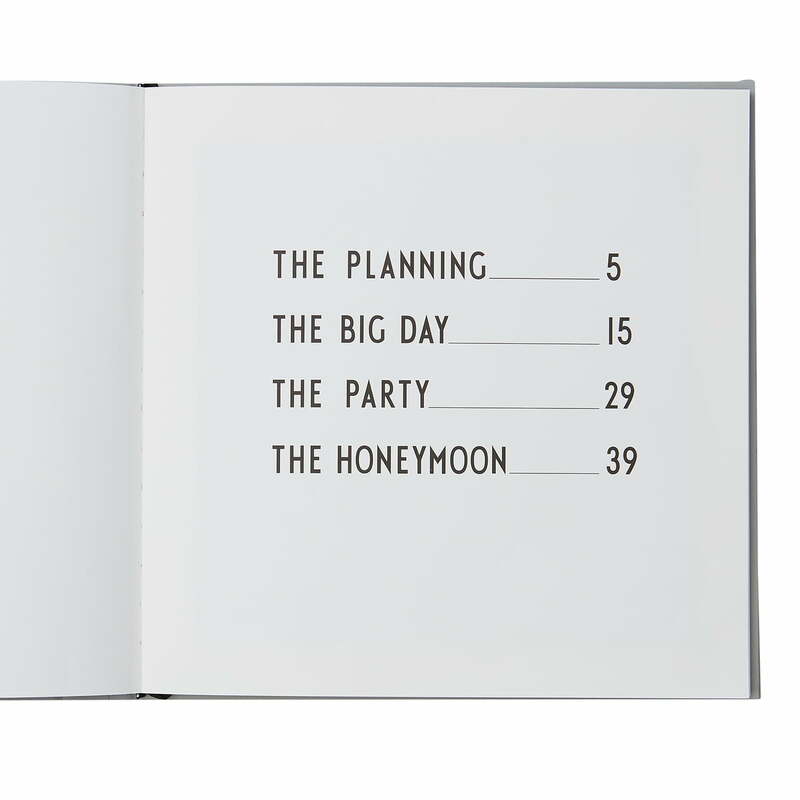 The book is divided into four chapters: The planning, the big day, the party and the honeymoon. The book in coffee-table format is ideal for planning weddings, parties and honeymoons as well as for collecting small memories, e.g. place cards or menus. This way you keep track of the wedding and have a book to remember the emotional day. The 25 x 25 cm book has a hardcover and comes with a menu, guest list, wish list and sticker. 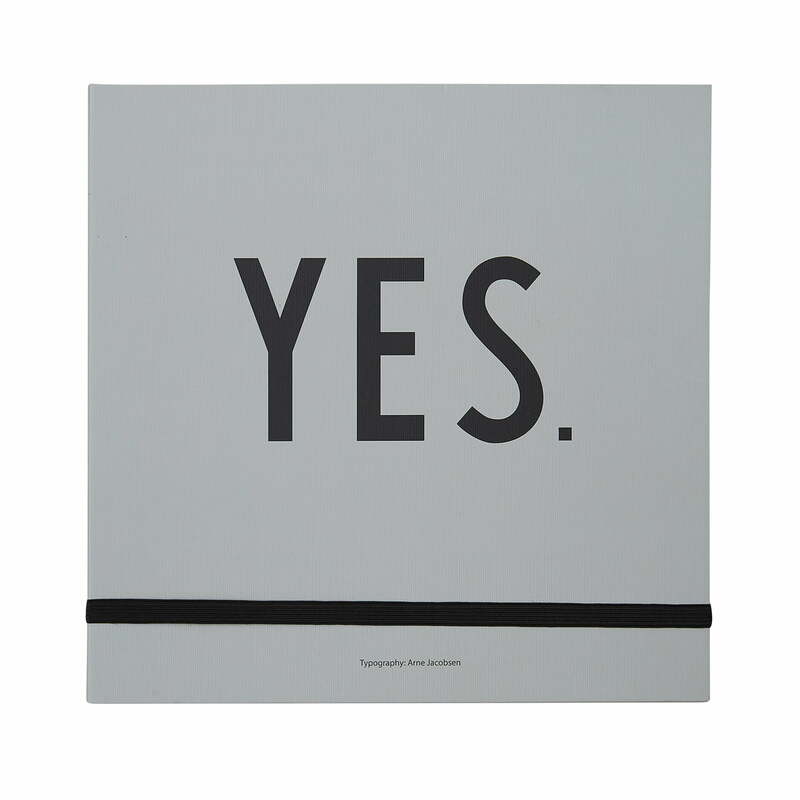 On the cover there is a "YES" printed in Arne Jacobsen typography. There's plenty of room in the book for notes, guest list planning and more, with glued-in envelopes for additional storage of fabric samples, memories and small notes. 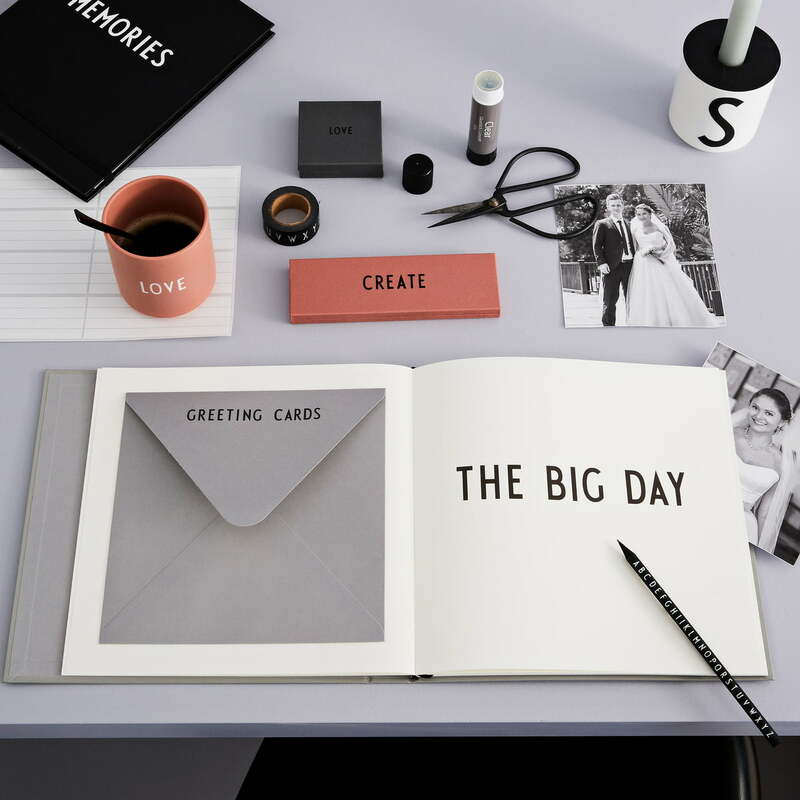 With Design Letters' wedding book, nothing is left to chance for the most important day of the year and all memories of the wedding can be bundled and put together in one book. With hardcover and "YES" in AJ typography. There's plenty of room in the book for notes, guest list planning and more, with glued-in envelopes for additional storage of fabric samples, memories and small notes. The book in coffee-table format is ideal for planning weddings, parties and honeymoons as well as for collecting small memories, e.g. place cards or menus.